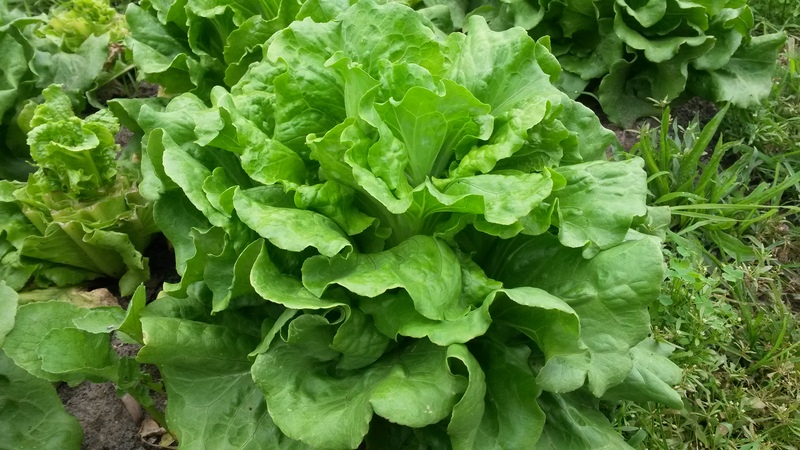 Head Lettuce – The head lettuce this week is simply gorgeous and very delicious. They are large green heads with long leaves, perfect for lettuce wraps. We had these for dinner last night with various filling options: Salmon salad, tofu, cucumber slices, cheese, sliced radishes, pickles…Even our three year old (who often protests her veggies) loved eating this “lettuce boat” as she called it. We hope you enjoy it this way, too! Beets – You can roast them, juice them, serve them raw in a salad, or steam them. Here is a collection of enticing Beet Recipes on Huff Post. Some of them are admittedly ambitious, and we most often use a simple Roasted Beet recipe. This link uses a salt-roasting recipe for extra deliciousness. Or this Peasant Beet recipe is similar to how we love them. (It calls for chard, but use the beet greens plus bok choy and/or kale.) Whatever you do with the beets, remember to use the beet greens! Cilantro – Cilantro is a staple in almost any Mexican-inspired dish. Add it to beans, meat, or any protein, plus serve it on top of any dish in this vein. We love it with tomatoes, but they are a few weeks off still, so we enjoy it with yogurt on top of fish tacos, or also rough-chopped and added into any green salad. Need more inspiration? Check out this list of 6 dishes (and a drink!) with cilantro. Savor the flavor! Available for Market Share CSA members to choose from this week: Bok Choy, Basil, Chard, Cucumbers, Collards, Green Beans (just a few – the plants are not producing as we would like! ), Kale, Lettuce, Radishes, Salad, Summer Squash, Turnips…and Pepper Jelly, Fermented Jalapenos, naturally leavened Hearth Baked Bread. 2015 Market Share CSA Members: Reserve your selection online to pick up on Wednesday, June 10th at our farm, in Church Hill, or at Good Health Herbs.